Activities for families, reflections, and more! Focus topics include: Ash Wednesday, the Stations of the Cross, Holy Week, etc. Global Catholic Climate Movement has collected the stories of 40 people around the world who live on the front lines of environmental destruction. They invite you to take a daily action during Lent to fast from harm to creation. 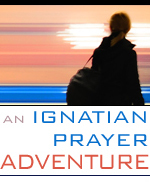 An eight week series of reflections based on the Spiritual Exercises.